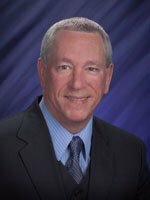 Congratulations to Dr. Charles N. Long, Pacific Northwest National Laboratory, on his recent appointment as a member of the International Radiation Commission (IRC) Global Energy Balance (GEB) Committee. The IRC, founded in 1896, is a global network of scientists engaged in atmospheric radiation research and related disciplines. As the primary driver of the Earth-atmosphere system, the global energy balance is critical in understanding the climate system and climate change. Yet large uncertainties still exist in measuring its different components. The IRC Global Energy Balance Working Group aims to assess the magnitude and uncertainties of the global energy balance, the decadal changes and underlying causes, as well as their significance for other climate system components and climate change. Another purpose of the working group is to be a forum for discussing to what extent the datasets currently available to the scientific community are adequate for advancing the state of knowledge on the Earth’s energy balance. The appointment of Dr. Long is based upon his outstanding expertise in radiative flux measurements and diagnostics. Long’s expertise is widely known for his research on clouds and their effect on the surface radiation energy balance of the Earth-atmosphere system, partly through his extensive association with BSRN, the international World Meteorological Organization Baseline Surface Radiation Network. Specifically, he developed the Radiative Flux Analysis (RFA) methodology, techniques that infer cloud properties using surface radiometer and meteorological measurements. In addition, he specializes in development of surface-based instrumentation and systems for measuring cloud and radiative properties. Dr. Long has been a scientist at PNNL for 10 years.